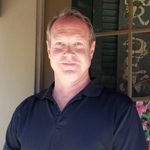 Don has been a local Real Estate Investor for 26 years. He recently became a Buyer’s Specialist at TrueVision, Realtors® in hopes to help those with similar investment interests secure profitable residential, multifamily, and commercial locations. An area native, Don has an in-depth familiarity of the Hershey/Hummelstown market. Having a “hands on approach” and a dedication to hard work, Don has earned a reputation as a trusted advisory for those looking for instant investment income.